The Standard Manual will suit you if you are a low-risk environment only, you do not use subcontractors and you do not manage or undertake any site works. 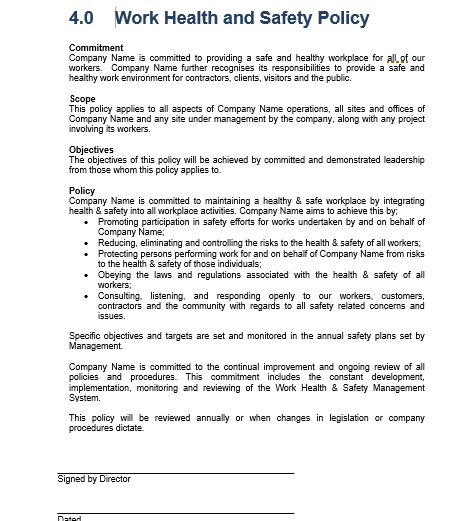 If you are looking to take the headache out of writing core WHS Procedures, the Standard Manual will also form the backbone of a more comprehensive safety system (when additional procedures are added in accordance with your industry). 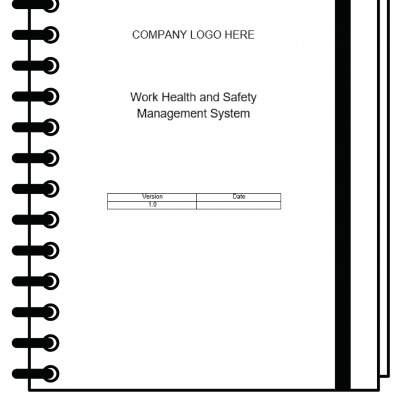 This product is an Instant Download and requires modification to suit your organisation. This can be done easily in Microsoft Word. If you do not wish to add your company details yourself, we can do it for you with this product. 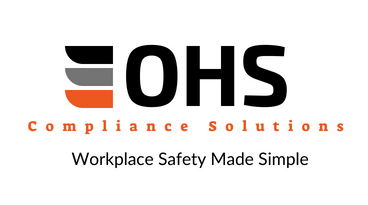 Take the headache out of writing your safety documentation – purchase our Standard Manual, download it to your computer, add your company name and logo and you are ready to go! 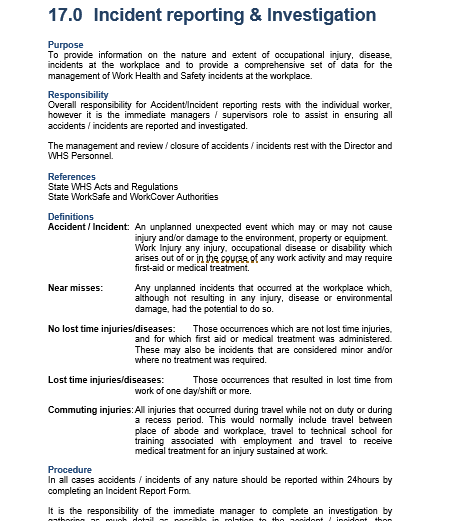 Our Standard WHS Manual consists of General Policy and Procedures based on AS/NZS:4801. The Policy and procedures contained within the manual form the backbone of a WHS Management System so that Legislative Compliance can be achieved. The Standard WHS Manual has been written by a qualified and highly experienced safety professional to suit legislation in the various Australian States and Territories. Not sure if this manual is suitable for you? Give us a call, or email us today. To achieve Legislative compliance, there may be additional requirements dependant on your industry. 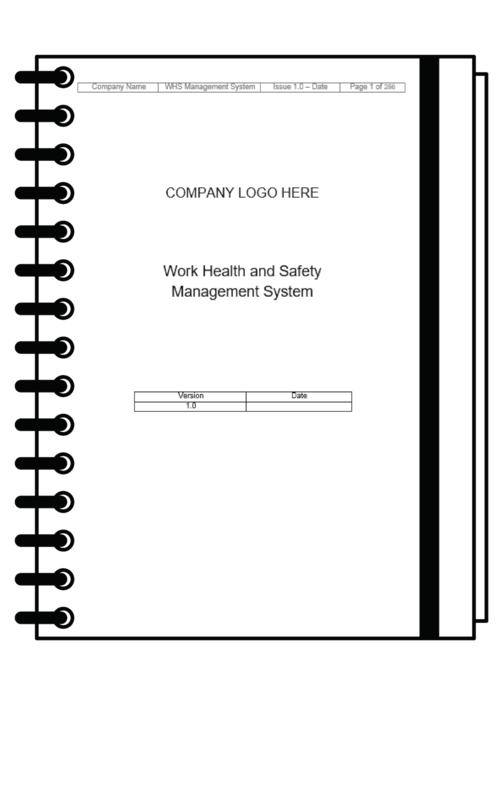 The Standard WHS Manual may be suitable for low-risk environments. High-risk industries/work types may require a more comprehensive manual to cover additional procedures.